When families around Annapolis, Highland Beach, and Hillsmere Shores want a smaller SUV that still has plenty of interior room, one vehicle they may think about is the MINI Cooper S Countryman ALL4. Although it also has an impressive performance and lots of tech features, is it right for you? We here at MINI of Annapolis will help answer that question with this 2018 MINI Cooper S Countryman ALL4 review. Learn all about the drivability, roominess, and advanced technologies of this vehicle, and contact us to experience it in person. The 2018 MINI Cooper S Countryman ALL4 has the performance features you need to take on any type of road or weather condition. It comes with a 2.0L 4-cylinder turbocharged engine that delivers 189 horsepower and 207 lb-ft of torque and is paired with a standard 6-speed manual transmission or available 8-speed sport automatic transmission with shifter paddles. This vehicle also has an adjustable Driving Mode system to cater to your driving mood. Sport mode will tighten your steering and adjust the throttle profile for a more aggressive and thrilling drive. Green mode has tweaked shift points and a coasting feature that disengages the automatic transmission when your foot is off the gas. This results in a more fuel-efficient performance, so you can spend more time driving around town and less time stopping to refuel. Additionally, when the roads are less than ideal, the Cooper S Countryman ALL4 has all-wheel drive to provide great traction on all surfaces, whether that’s slick city streets or rugged country roads. And even if the streets are fine to drive on, the ALL4 system delivers precise control to tackle sharp corners with ease. The MINI Cooper S Countryman ALL4 easily seats five with plenty of room to spare. It has about 40 inches of front headroom and legroom, and a little over 37 inches of rear headroom and legroom. If you need space to fit all your items for work, errands, or vacations, there’s a 17.6 ft3 trunk to work with. Plus, if you fold down the 40/20/40 split rear seats, you’ll have 47.6 ft3 of total cargo volume. And if your hands are full, simply swipe your foot under the optional foot-activated motion sensor to open the trunk door. Another feature that adds to the roominess of this MINI Cooper vehicle is the dual-pane panoramic sunroof. This design feature extends to the back seat, so not only can everyone enjoy the sunshine and fresh air, but it’ll really open up the vehicle. To enjoy your drives around town, the 2018 Countryman ALL4 comes with a MINI Connected infotainment system. Through the 6.5-inch display, you can get key driving data, entertainment, and hands-free communication through Bluetooth®. For more advanced technology features, there’s the available MINI Connected 5.0 system. This system upgrades the display screen to 8.8 inches. It also includes turn-by-turn satellite navigation with real-time traffic updates, as well as entertainment apps like Spotify®, Pandora®, and more. 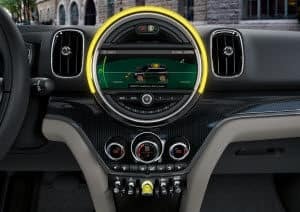 In addition, if you want to see the essential motoring info that’s on the MINI Connected system, you can do so easily on the Head-Up Display. This retractable display was inspired by jet cockpit technology and put data like speed, navigation instruction, and other alerts right above the steering wheel, close to your line of sight. This way, you can still get all the information you need while keeping your eyes on the road ahead. Test Drive the MINI Cooper S Countryman ALL4 Today! Undoubtedly a spacious subcompact SUV with impressive performance and interior features, after reviewing the MINI Cooper S Countryman ALL4 you know if this vehicle may be right for you. But to know for sure, you’ll need to get behind the wheel. 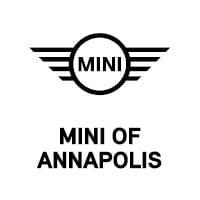 Schedule a test drive today at MINI of Annapolis, and we’ll let you see how this vehicle handles the streets of Annapolis, Highland Beach, and Hillsmere Shores.